Consider it chocolate for the smart set. TCHO in San Francisco offers a wide range of high design, tasty, and sustainable chocolates that are sure to keep you coming back for just one more square. 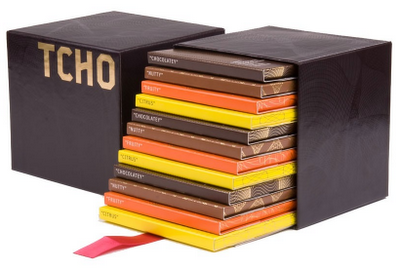 From small sets of bite size collections to the luxury box set above, TCHO has something for everyone.